Real Sitar is a sample based Instruments. It has been sampled from Asian and many types of real Sitar Instruments. Sampled with 4 Mic Position.It is velocity sensitive instrument with built in Round Robin Presets. 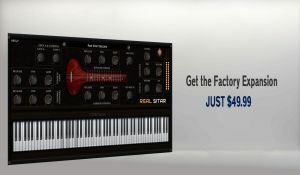 It comes with Win 32-64-bit VST, VST3, AU and Mac VST plugins. 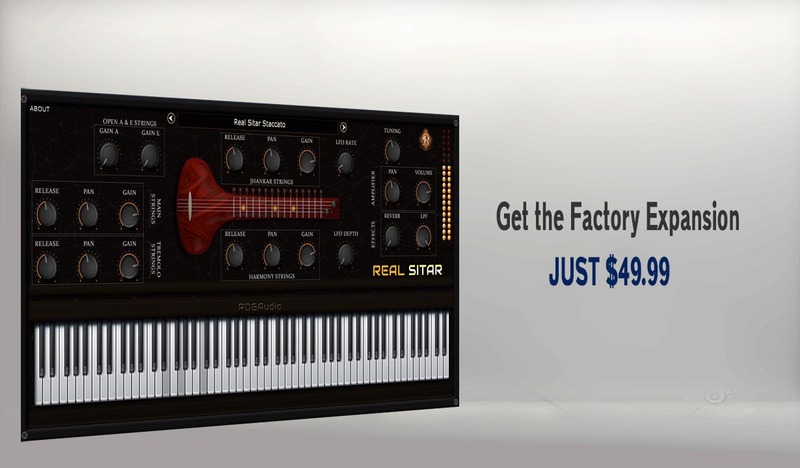 Real Sitar comes with free Player, however you can purchase the factory expansion to Up and Run the full instrument. Now just play real Sitar right inside your host DAW. Real Sitar is a free player. It can load only Real Sitar Expansions. Factory Presets, all have been sampled from real Sitars. All expansions have Velocity sensitivity. Unique Presets all have been sampled from real Sitar.Sampled and Designed by our talented professionals and sound designers. Sounds are created from real Sitar. To inspire you instantly, we have treated with legendary outboard effects, eq, compression and saturation. Just Load & Play. New Browse expansion feature will help you to load quickly your Downloaded Real Sitar Expansions. Attack, Release are now linear. Removed DC Offset in Harmony Srtings. Factory Expansion Presets (purchase separately). Jhankar, Tremolo, Harmony & Main Strings. Stack up to 5 layers string. Layers have Gain and Pan pots. ADSR with Volume & Pan control.